Ike was in the White House and Elvis had just rocketed to rock ‘n’ roll prominence when the late Atlee Chittim, who had studied the martial arts while fighting in the Korean War, sponsored his 24-year-old instructor Jhoon Rhee’s trip to Texas. Rhee had come to study at Southwest Texas State College in San Marcos (just outside of San Antonio). He was a member of the South Korean army Officer Training Program as well as a third degree black belt in Tang Soo Do (translated in English, the way of the Chinese Hand—the Korean translation of “karate”*). Rhee says he began teaching the Korean martial art almost immediately at Gary Air Force Base in San Marcos. Rhee was soon required to complete a year of remaining active duty back in Korea, however he returned to Texas in 1957 to enroll in engineering school. He established a non-credit class at the college to help finance his studies. He soon started a second class at the University of Texas in Austin. After an amazing demonstration where Rhee leapt straight up into the air to break three boards some 180 students signed up (at $5 a month) to try this Asian martial art. One of those first students, Allen R. Steen, would become Rhee’s first black belt trained in the United States. In 1962 Rhee moved to Washington D.C. to build his empire and Steen would do the same in the Lone Star State. After Rhee moved to the nation’s capital Steen along with his first black belt, J. Pat Burleson became focal points of Texas karate. While Rhee was certainly the one who planted the seed for karate in Texas, Steen was responsible for the tree that grew from it. Steen was the typical poor college student and spent his time either studying or practicing karate. He trained everyday and built 200 pounds of solid muscle onto his six-foot one frame. He claims that his competitiveness grew from karate and would later help him in business. After he graduated Steen moved back to Dallas and opened the first karate school in Texas, in June of 1962 just down the street from Southern Methodist University. Shortly after that he returned to Mr. Rhee and survived a grueling three-hour exam to earn his black belt. Steen built on Rhee’s tough, military-like methods and added elements and techniques that he began to learn from other early karate practitioners as he traveled the nation competing in the formative days of American karate. Steen renamed his school the “Texas Karate Institute.” The approach that Steen forged became known as Texas “Blood and Guts” Karate. Training was hard, contact was frequent, and the teachers didn’t accept any excuses. Steen now admits he was probably too rough on his students in those early days. Yet, it was probably necessary, for it established karate as a truly effective means of fighting to a skeptical Western culture. 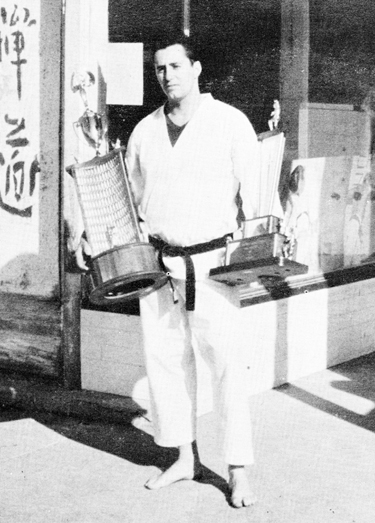 In 1963 Steen held the first tournament in Texas, calling it, naturally, the Texas Karate Championships and, as was the custom in those days, he entered it himself and won first place. In 1964 he renamed it the Southwest Karate Championships and entering again, Steen battled Keith See into multiple overtimes before losing and settling for 2nd place. By 1966 he renamed the competition yet again, calling it the United States Karate Championships and it would grow into one of the most prestigious tournaments in the country during the late ‘60s thorough the early1970s. Always the visionary, Steen was the first promoter to have a women’s division as well as team competitions. Not just a promoter and coach, Steen is acknowledged as one of the fiercest champion fighters in early American karate history. He won 30 major titles, the most famous being his wins over both Chuck Norris and Joe Lewis on a single night to claim the Grand Championship at Ed Parker’s 1966 Long Beach Internationals. That same year he was a member of the victorious U.S. National Karate Team competing in Hawaii. Black Belt Magazine rated him one of the top ten fighters in the country. Steen’s favorite fighting technique was a sliding side kick and he would often literally knock his opponents out of the ring with it. Steen was just one many of the early karate pioneers to take bits and pieces of several styles and mold them into a uniquely American martial art. Remember that everyone used the term “karate,” with the name Tae Kwon Do yet to be widely accepted by Korean stylists. Of course there were many Japanese and Okinawan karate instructors, both Asian and American born, teaching in the U.S. by 1970. Still, the Korean stylists (many of them from the Steen lineage) were responsible for much of the development of American sport karate. 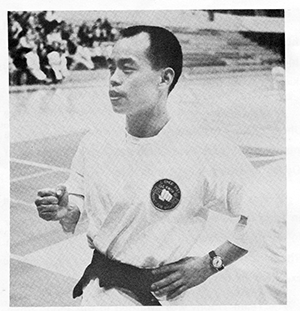 In 1964 Jhoon Rhee promoted the first National Karate Championships in Washington D.C. and it was won by Ft. Worth’s Pat Burleson, effectively making him the first truly national champion. 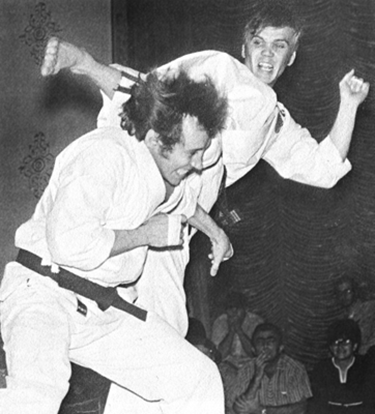 Skipper Mullins (pictured), another Steen black belt, would win titles all over the world and was known as karate’s fastest kicker (even before Bill Wallace). 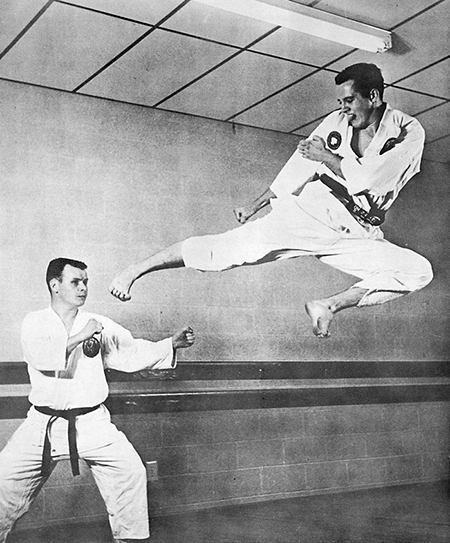 Mullins was named one of the best five karate fighters of all time by his peers in a Black Belt Magazine poll. Mike Anderson, a black belt of Steen’s, launched Professional Karate Magazine in 1972 and in 1974, he produced the world’s first full-contact karate championships. The list of Texas black belts who became national champions in the ’60s and ’70s is impressive. Roy Kurban, Jim Butin, Jeff Smith, Chuck Loven, Larry Carnahan, John and Pat Worley, Walt Bone, Fred Wren, George Minshew, Marian Erickson, Phyllis Evetts, Demetrius “Greek” Havanas, Joy Turberville, Ray McCallum, Linda Denley; the list is long and we have, no doubt, left out many names. The point is, Texas was known as the breeding ground for the best fighters in the nation. With so many champions and coaches in the Lone Star State, it was only natural that Texas was also at the center of the business side of American karate. At the height of his commercial empire Allen Steen operated nine Texas Karate Institutes and had interests in 20 other schools in the Southwest as well as in Europe. Many of the innovations of his business are still used by commercial schools today including separating the instructional staff and the marketing staff (program directors) and establishing separate programs and payment schedules. Steen’s schools were among the first to have wall-to-wall mats, glassed-in offices and saunas. Many of the most well respected entrepreneurs, authors and masters of today’s martial arts are beholden to this Texas legend and his influence. J. Pat Burleson (who had trained under Jhoon Rhee) earned the first black belt promotion by Allen Steen. Together teamed up to dominate Texas karate as Steen’s territory, originally, was the Dallas area while Burleson’s was Fort Worth. Burleson was one of the first to use the “belt-goal” system in the early 1960s. Before his system most schools had only white, brown and black belt ranking. He produced the Texas State Championships (which, in spite of its name became one of the leading tournaments in the nation). His chain of schools in and around Ft. Worth became one of the beacons of early martial arts in Texas and beyond. The early 70s saw the growth of karate in Houston as well as DFW. George Minshew (who earned his black belt under Steen of course) established his chain of schools in the city with its own stable of outstanding competitors and instructors such as Larry Ritchie. Tournament champ Ishmael Robles opened his first school in Galveston in 1975, Roy Kurban began teaching in Arlington, and Rick Vaughn went to Lubbock. “Rough and tough” karate was spreading across the state. Many Texas black belts would go on to become national champions and start their own schools not only in Texas but in other states. A partial list includes Jeff Smith (to D.C.), Jim Butin (to Oklahoma), Larry Carnahan (to Minnesota), Mickey Fisher (to Utah), Mike Anderson (to Germany), Chuck Loven (to Nevada), John and Pat Worley (also D.C.), Jim and Jenice Miller (to Louisiana), Jim Harkins (to Colorado), Art Heller (to Georgia), and Fred Wren (to Missouri). Indeed, Texas was probably unsurpassed in the influence it had on the “American” approach to karate. Full-contact karate, later called kick-boxing, was the forerunner of today’s mixed martial arts competitions. Texas was, of course, in the forefront of that movement. Mike Anderson was an early promoter, Larry Caster a well-known coach. Demetrius Havanas parlayed his success in the point-karate ring to become one of the early full-contact champs. Ray McCallum would become one of the most recognizable figures not only in America but around the world for his kick-boxing wins (he was awarded all expense trips to compete in Japan). Troy Dorsey became the only man to hold world legitimate titles in point-karate, international kick-boxing, and professional boxing. We have concentrated on the lineage of Allen Steen in this history but we acknowledge that there were many other fine competitors and instructors in Texas in the formative years of the martial arts in the state. Vince Tamura was a pioneer of Judo in Dallas (1960) and beyond. Kim Soo was one of the earliest Korean martial artists to arrive in the United States (1968) and established an empire in Houston. Johnny Nash was one of the first to teach Okinawan karate in the United States (1962) and his black belt, Ed Daniel (a Dallas police officer) became a fixture on the list of Texas champions. Bill Sosa started teaching Aikido in Dallas in the early ’70s and also owned, for many years, the only martial arts supply store in North Texas. Ye Mo Ahn was another Korean who became a pioneer of Tae Kwon Do (Moo Duk Kwan) in the state. Jose Santamaria, a student of Jhoon Rhee’s, taught for many years in Killeen. 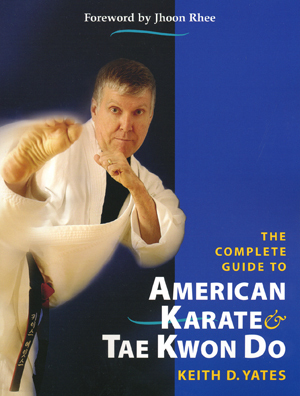 We have no doubt left off some of the men and women who contributed to karate (Tae Kwon Do) in Texas but we never said this would be a totally comprehensive history (look at the title— a BRIEF history). If you are interested, we suggest you do your own research into the pioneers of the martial arts in America. Check out some of the books by martial arts historian Keith D. Yates.